If this is the slow time of year, and Laveen’s market is already heating up, look out come springtime..! Laveen prices were up 11% in June 2018 compared with June 2017, and up 37% since the beginning of 2016. The Median Sales Price for Laveen in June was $243,000. Phoenix had the most sales volume By FAR! 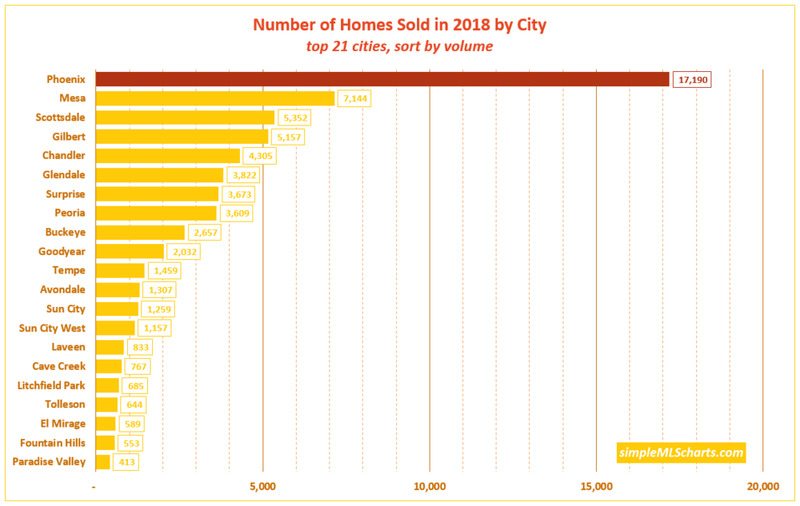 There's a reason we call this place "Phoenix and the surrounding area": because Phoenix had more homes sold in 2017 than any other city, and it's not even close! Mesa was 2nd, with 42% of Phoenix's volume. 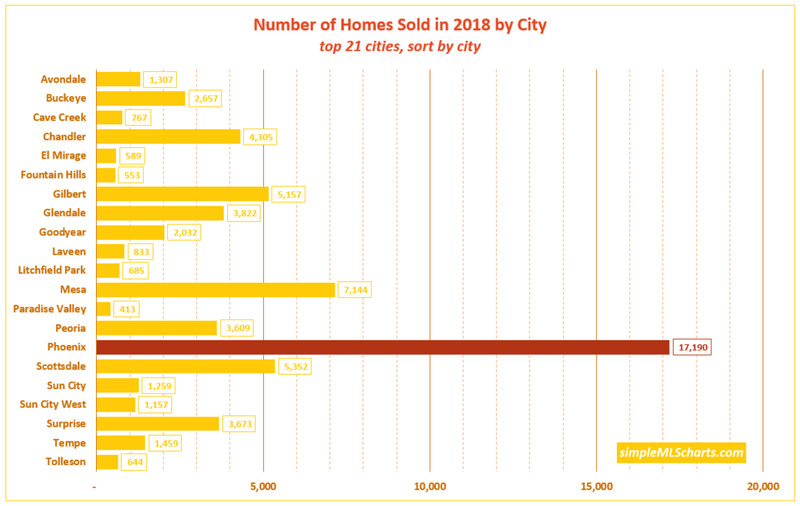 Phoenix had almost 5 times as many transactions as Glendale, and 11 times more than Tempe! 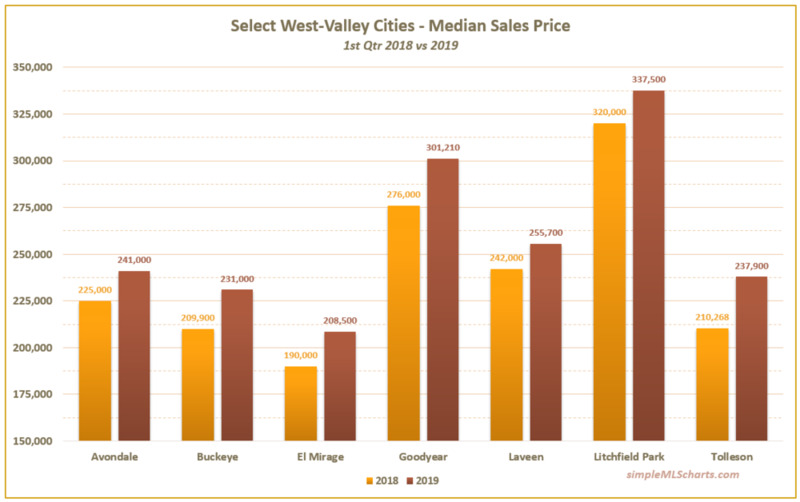 Both the West Valley (as a group) and the East Valley (as a group) had more sales volume than Phoenix, but no individual city stood out as significant.